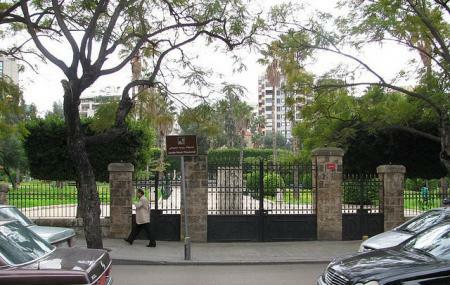 If you are looking for a lush green space to visit in the lap of nature, the Rene Mouawad Garden is a perfect place. Located in the Sanayeh district of the capital city of Beirut, Lebanon, this garden is one of the oldest public open-air spaces of the city. The park features a historical fountain which offers a perfect ambience to sit and refresh yourself. Built during the period of World War I, this park is spread across a sprawling area of 22,000 square meters and is open to the public everyday between 0500 hours and 1900 hours. Equipped with amenities like a shock resistant jogging lane, specialized bicycle tracks, stretching bars, three fun children's playgrounds, an amphitheater and two exhibition areas among others, the park is an ideal place to visit with your friends and family. A wonderful place to relax . Small, quite garden, surrounded by moderately high buildings. Needs some maintenance. It's a nice little garden that you can chill at. However, it's more of a park for kids and a playground.